There are oodles of WordPress themes, and I’ve gotten the chance to play with the backend of more than a few. While I wouldn’t want anyone to go and brand on the same theme, I do like the idea of showing folks how top flight products can take hold on little more than a template. Below, I share a handful of WordPress themes I’ve seen used and used well. Take it as motivation to find your own. Let me know some others you dig, by sharing in the comments. I won’t use yours, if you don’t use mine! Earlier this month, I bought another year on this domain and began a third year posting here. Back in February, I had my 500th post and am just shy of my 700th now. In July, I launched the self-hosted version of this site, which has left quite a bit of Google juice over at the free version here. Anniversaries abound, so why not celebrate the end of another calendar year by noting the 10 best read posts I had of the past 12 months. For more than eight months, NEast Philly, the online hub for Northeast Philadelphia news I introduced back in May, grew to a small, but targeted, 6,000 monthly page views, housed on a free template from WordPress.com. Finally we have broken free. Yesterday we launched the brand new redesign of our neighborhood news site for the future. No longer just a forwarding domain, NEastPhilly.com now aims to be the Web portal for content creation, aggregation and dissemination of news, views, information and events happening in Northeast Philadelphia, a middle-class, still print-reliant community. We hope to recapture our traffic numbers from the old site quickly and move far beyond them. If you’re interested in the geography or another online news startup find a voice, audience and value, grab the RSS feed here. What’s more, it’ll also be another experiment in establishing a small, self-supporting local news product. Unlike the Technically Philly product I co-founded that is a swing at a high-end, double niche, NEast is a decidedly more modest proposal. One of the very obvious and very frustrating results of transitioning from my WordPress.com hosted professional site to this beauty is the loss of all that Google juice. While it is certainly nothing for the record books, the old version of this site was very steadily growing its traffic, at a healthy 7,259 page views in May (as seen above), the last full month I operated that version. 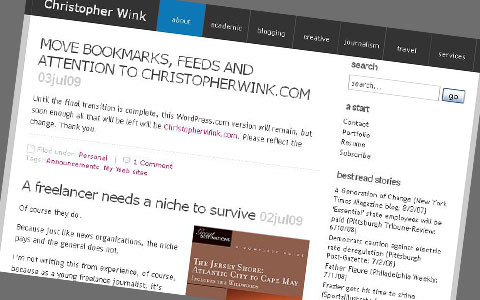 Once I directed my ChristopherWink.com domain to my own servers, the archives that I migrated from my old WordPress.com version to here are without any links. Instead, their WordPress.com cousins continue to have the priority in search engines and in incoming links (which, because I didn’t use domain mapping, almost surely directed to christopherwink.wordpress.com, instead of just christopherwink.com). 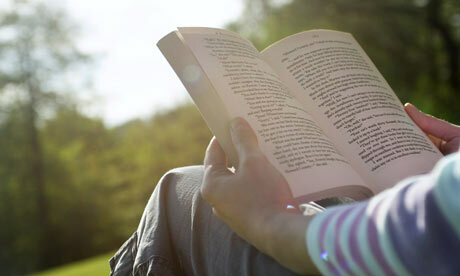 Finding an audience, a focus and a voice involves place, time and circumstances. So, I knew what I’d talk about when I arrived at Hackensack University Medical Center the first week of July to see Matthew C. Sheehan, my best friend from growing up in northwest New Jersey who had long been looking for something meaningful to write about and had just been diagnosed with a rare blood disease. Let’s get you to write about enduring the often-maligned U.S. healthcare industry at a time of great national interest. Of course, Matt, who graduated in May 2008 from the University of Massachusetts-Amherst with dual biology and journalism degrees, already had it in mind. With graciously offered hosting space from my Philadelphia partner in media obsession Sean Blanda, a WordPress template and a few hours of my tinkering and Matt’s first couple weeks writing, I present MyPICCLine.com, his personal journey through the healthcare industry. The older, WordPress.com version of this site. Exactly 575 days after my first post on this incarnation of ChristopherWink.com, I’ve done a massive redesign. If you’re in a feed reader, come on over and browse. There is so much left for me to do, though. A lot of usability, design and organization elements remain janky. We’ll get to that. For now, I wanted to get over the big introduction hurdle of the redesign. Of course, when I say redesign, I mean I switched from a free WordPress.com theme to using a free, self-hosted WordPress theme, but, hey, I’m tweaking this baby up. It’s a slightly bold step forward. It started with a call about ezLandlord Forms, an e-commerce site with meaningful traffic that was based in Philadelphia. I interviewed Kevin Kiene, the CEO and founder of the online provider of property-management legal documents with 300,000 members nationally, for a story for Technically Philly. During our conversation, I found out he was a Fox Chase native who now lives in Frankford, the same neighborhood I now call home, so I wrote a story about him for NEast Philly, too. That got picked up by the father and son team at Frankford Gazette, who do a great job of chronicling the bad and more importantly the good of their native ‘hood. Suddenly, a few hundred new eyeballs know about Kiene and his product. After the jump links to both stories I wrote, a couple quotations that didn’t make it into either and the video that prompted it all.